wATERPROOFING THAT PERFORMS FOR YOU! Basements make great workout rooms, extra storage space, bed rooms and places you can relax in with family and friends. 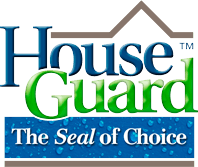 Houseguard waterproofing provide eco-friendly products that create a Warm, Healthy and Dry basement. We Guarentee it!